LUXURYCOLLECTIONMAG.COM Our monthly digital magazine features Chicagoland’s finest residences presently offered for sale by KoenigRubloff brokers. Current market information along with a stunning presentation of the area’s most coveted real estate, makes this an exceptional guide to the luxury lifestyle. Distribution includes promotion on KoenigRubloff.com, in social media, Chicago Tribune online and in our Luxury Collection print advertising. 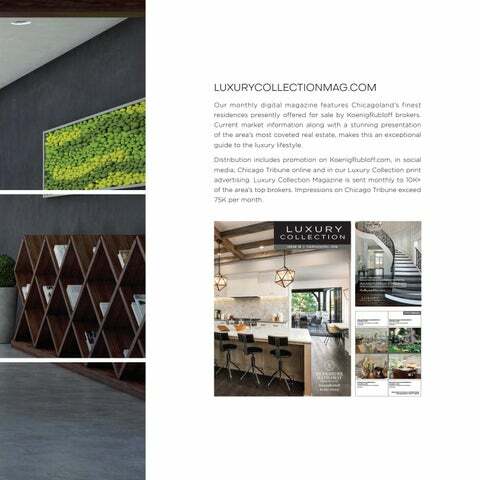 Luxury Collection Magazine is sent monthly to 10K+ of the area’s top brokers. Impressions on Chicago Tribune exceed 75K per month. LUXURY COLLECTION— MARKETING FOR EXTRAORDINARY PROPERTIES. Compare our long tenure, dedication to ethics and exceptional sales record to all others in the luxury real estate marketplace. 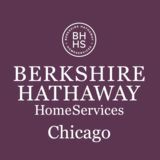 You will find Berkshire Hathaway HomesServices KoenigRubloff sets the standard for upper bracket representation.